Not all protein powders are created equally. In fact, there is a huge difference between the various types of protein powders available, and the quality of protein used in each powder. There is protein powder derived from dairy (i.e. Whey Protein Isolate, Whey Protein Concentrate, Casein Protein, etc), from vegan sources (Pea Protein, Hemp Protein) and from animal sources (Beef Protein and Dried Egg Whites). The list is extensive and it is exhaustive. Are you curious to know which type of protein powder supplement is right for you? Plenty of clever label techniques are used by supplement manufactures to trick you into believing their protein is superior to others. That’s where we come in. We guarantee that any protein powder you find on our top five rated protein powders list is worth your money. Don’t be fooled by end caps at the grocery store or a fancy package. During the ingredient profile review we look at two very important things. The first, the ingredients being used in the protein powder. We inspect what type of protein powder(s) are being used. We also look at the “other” ingredients that aid in digestion, absorption and flavor. Some protein powders have a lot of sucralose for sweetener, while other limit the use of “filler” ingredients. The other area we look at are the macros. We look at how much of the serving is actually protein (example: 40g serving size with 20g of protein = 62.5% protein per serving), and how much of the serving is fats and carbs. We want to ensure that you are getting a macro friendly protein powder that will aid in fat loss and muscle gains. Effectiveness is an extension of ingredient profile. If the product uses high quality protein sources at acceptable amounts, then typically the product should be effective. Everyone is different in terms of how they react to various protein sources and amounts. We have tried and tested each of these products throughout the full duration of their container to ensure these products are effective over their life. We review taste on two different components. First, how close does the protein powder taste to the actual name printed on the label. For example, does Birthday Cake actually taste like Birthday Cake. Second, we review it on overall taste (in our opinion) versus others in the same flavor category. Mixability refers to how well does the product mix in 8-12oz of water (one serving). The testing process uses here is a generic Blender Bottle with the chrome spiral ball. We use regular tap water with no ice. Value is a combination of ingredient profile, effectiveness, taste, mixability and cost. We do not just look at the price tag like a lot of others do. If a product is priced at a premium, we inform you if it is worth the premium price or not based on all the categories. We look at the overall picture of the protein powder, and how it compares to other protein powders on the market. Please Note: Many of the top 10 protein powder lists you find online are written by content writers with no in-gym or supplement experience who are paid by the word count to write an article for a website trying to generate money. These lists are influenced by brands who pay for placement. These lists contain protein powders that are, for the lack of a better word, garbage. The following products on our best of list were used by the author of this article. He used the protein powders throughout the duration of a full container. Sample packs were not used in determining the rankings of the following best protein powders. Stop relying on faulty information that is influenced by outside writers and money. This list is the real deal and we will continue to update it into the year 2019 and beyond. Here at Fitness Informant, we don’t steer you wrong. Be Informed. Live Fit. Absolutely no other ingredients "fillers"
100% Whey Protein Isolate by NutraBio is the 2017 Shield of Excellence Supplement Award winner for Best Protein Powder. This is why you will see at at #1 in our best protein powders of 2018. The combination of a fully transparent label, effectiveness, taste, mixability and value put this above and beyond the competition. Each serving of 100% WPI contains 25g of whey protein isolate. Each serving size is 29.87g (yes, down to the hundredth in terms of measurements) which is 84% protein per serving. One of the best we’ve seen on the whey market. NutraBio’s 100% Whey Protein Isolate is fat free and lactose free. Making this a great selection for those who are looking to lose weight or have issues with lactose. It does contain 1g of carbs, but also has dietary fiber so net carbs will be less than one gram. The label, like all NutraBio products, shows 1.68g of flavoring. This is lower than a lot in the industry as they don’t like to put “extras” in their products. NutraBio’s 100% Whey Protein Isolate won our 2017 Shield of Excellence Award for Best Protein Powder because of everything we just talked about. I have yet to find a protein powder to pass it. Some have come close, but none have exceeded. A fully transparent 100% whey protein isolate powder by our Brand of the Year, NutraBio, is well deserving of our #1 spot on our best of protein powders supplement guide. There’s a reason it won the 2017 Shield of Excellence Supplement Award for Best Protein Powder. The combination of a fully transparent, high quality protein powder with zero fats and minimal carbs, along with being high effective is just one part. 100% Whey Protein Isolate is also great tasting and mixes well. To boot, the value is great. Unlike most whey protein isolate powders available, at most, in 4lb containers, 100% WPI from NutraBio is available in 2lb and 5lb containers making it a value for what you get. Hands down, this is the best protein powder on the market today. Try any one of their tasty flavors! ​Protolyte from VMI Sports is not only a high quality whey protein isolate powder, it’s also the best tasting whey protein powder we’ve ever tried. Protolyte also uses a 100% transparent label making it easy for us to tell exactly what we are getting. Protolyte tastes amazing. We’ve already said that. In fact, it’s the best tasting whey protein powder we’ve tried. It doesn’t matter what kind if protein powder it is (within whey), this reigns supreme in terms of taste. The one downfall, there’s only three flavors available. Each flavor is amazing. But if a company can make this taste so good, we’d like to see more flavors. Protolyte is only available in 2lb containers. There is nothing wrong with that, but typically with a 4/5lb container you can save a few dollars by buying more. At 2lb containers, however, you can buy one of each flavor and fall in love with the taste. Protolyte does use 23g of high quality whey protein isolate. Each serving size is 30g which means each serving contains 77% protein. Each servings contains less than 1g of fat and 1g of carbs. A very macro friendly protein powder. Overall, this is a fantastic whey protein isolate that reigns supreme in the taste category. If you’re OK paying a premium for a high quality protein powder then this is worth it! VMI Sports is a quality company owned by industry insiders who’ve been at thsi for a long time. A majority of their products are honored by various awards, or nominated, by many online businesses. VMI Sports also manufactures pre-workouts, muscle builders, aminos, pump products, mass gainers and more. VMI Sports Protolyte is the best tasting protein powder on the market. Period. Taste is a very important aspect of protein powders, and if it is #1 on your list, then this is also #1 on your list. Protolyte is a high quality whey protein isolate that has a fully transparent label to show a macro friendly product. If money is not an issue, and you’re OK with 2lb containers then I suggest you buy each flavor of this product. You will absolutely love it. ​Kasein by Kaged Muscle Supplements is the highest rated casein protein powder on our list. Kasein uses 100% Micellar Casein Isolate. What does that mean? It means it is the highest quality casein powder money can buy. This is the best casein powder on the market. Kasein uses the slow digesting form of protein in casein. It goes through a filtration process to turn Kasein into a Micellar Casein Isolate. This protein powder will continue to feed you over several hours versus the quick absorption you get from a whey protein powder. Kasein could be ranked #1 or #2, but because it is a casein, and more people need whey than casein, we had to put it at #3. However, if you’re looking for a casein protein powder, you need to stop right here and get this. Kasein uses 25g of micellar casein isolate. Each serving size is 39g meaning you get 64% protein per serving. There is 7g of carbs and 2.5g of fat. This will be typical with a casein protein. Kasein also contains Coconut Oil Powder, which contains MCT Oils which are heart healthy and promote fat loss. It’s also sweetened with Stevia. This protein is best when blended with a whey protein powder post-workout or taken alone right before bed. Kaged Muscle Supplements is owned by Kris Gethin who participated in our Expert Roundtable. Kris Gethin is very knowledgable in the industry and practices what he preaches. He also employs what some call the #1 formulator in the industry who formulated Jym Supplements. Kaged Muscle has a commitment to high quality ingredients, scientifically backed dosages and your satisfaction guaranteed. Kasein is the highest quality casein protein powder on the market. There is no reason to use any other casein protein powder as nothing, at this point, is superior to Kasein by Kaged Muscle. If your diet or workout regime requires you to feed your body while you sleep, or you like to mix casein with whey, you need to buy yourself Kasein. You won’t regret it. That’s a Fitness Informant guarantee! Spartan Whey from Sparta Nutrition is the company’s first protein powder and they absolutely nailed it! Spartan Whey is a protein blend, but not one hidden in the “blend,” they fully disclose their amounts and sources. Spartan Whey uses 10.5g Whey Protein Isolate, 10g Whey Protein Concentrate 80 and 5g of Casein Protein to give you the ideal situation post-workout. You get the fast absorbing WPI, then you follow it by the slower, but reliable protein WPC. After that, you feed your system with the Casein protein. Amazing! Sparta Nutrition got put on the map due to their popular pre-workout Kraken. They then expanded into many different categories including pump and protein. (They have a full Keto series too!) They continue to make progress in the industry becoming one of the fastest growing supplement companies out there! Spartan Whey is our best non-Isopure Isolate protein powder. I love the combination of three high quality protein sources to ensure you are getting the best recovery possible by stimulating protein synthesis. If you do not need an isolate, then this is going to be one of the best proteins you can find anywhere online. Read our full Spartan Whey review here. ​Zero Carb SRO from VPX Sports is a competitors dream protein powder. It is a 100% whey protein isolate (20g per serving), which is lactose free, but also contains ZERO carbs. On top of the carbs being non-existent, sodium levels are virtually the same. Zero Carb SRO protein powder from VPX Sports only contains 35mg of sodium which is the lowest we’ve ever seen. Each serving contains 87% protein which is amazing. The only downfall to Zero Carb SRO is the flavor selection. There are only three flavors to choose from. BUT with that being said, they are delicious. VPX Sports is most famous for their energy drink, Bang. See…I knew you knew who they were. However, VPX Sports makes a lot of great, high quality products that are aimed for the more serious lifters. They focus on clinically studied ingredients at nice dosages. With that, their products are going to be priced at a premium. Zero Carb SRO has the best ingredient profile we’ve seen on a whey protein powder. It is also going to be the best for weight loss with zero carbs and only 1g of fat, while containing 20g of high quality whey protein isolate. Limited flavors do not give you a lot of selection, but they all taste great. You can also trust in the VPX Sports brand. This is an ideal protein powder for competitors as well. In this day and age, with overly processed foods being the bulk of the human diet, it is imperative that we supplement with protein powder. That’s just for the sedentary people in this world. If you’re a fitness addict or a casual gym goer, you need protein powder more than anyone else to help with your progressive. Individual muscle cells only grow during protein synthesis windows. Consuming a protein powder post-workout helps increase protein synthesis which helps increase muscle size. Consuming protein powder post-workout not only increases protein synthesis, but it helps repair your muscles quicker, which will speed up your recovery. Intense exercise recovers proper recovery. Protein powders help improve protein synthesis which helps aid in the recovery process. By improving recovery time, it prevents overtraining which can lead to injury. Protein powders help increase muscle size, which burns more calories. Protein powders also help increase metabolism, which also aids in weight and fat loss. Protein powders can contain up to 25g of protein per serving. That alone is 100 calories just in protein. When you have a craving for junk food, a delicious protein shake can curb those cravings and help you on your healthy path of life. Like we mentioned earlier, not all protein powders are created equal. In fact, there are so many variations of protein powders, it is important to know which is the best for you. Some protein powder supplement facts have multiple form of protein being used. The typical consumer will think that is a wonderful thing and automatically assume what they are buying is quality. The supplement manufacturer, however, knows that this is “label dressing” to trick the consumer into paying a premium price for a mediocre to garbage product. The following points explain the various forms of protein powders available on the market. We will give a synopsis of each. We will also look at protein powders based on your goals, and what you should be looking for. Whey protein concentrate powders are a popular choice among the fitness community because of it’s muscle building properties, health promoting profile and, maybe the most important attribute, it’s affordable cost. A high quality WPC can contain roughly 70-80% protein. However, the FDA allows companies to to use as low as 34% protein to be considered a whey protein concentrate. On a per gram basis it contains less protein than whey protein isolate, but it contains many of those subfraction proteins we talked about earlier that WPI remove during the filtration process. Whey protein concentration does not have to go through the advanced filtration process that isolates go through thus making it more cost-effective to produce. An important thing to note is that because it does not go through this filtration process that WPI go through the WPC contains more of these health promoting subfraction proteins in them. Many people choose a concentration as an everyday protein because of these attributes that assist in other forms of health outside of muscle building. Whey protein concentrate does contain more fat, carbohydrates, sodium and lactose than WPI. This is because the WPC does not go through any advanced filtration process to remove any of these. If you are not lactose intolerant, not worried about the extra fats and carbs than a WPC is a good choice as it is more affordable. Whey protein isolate is a form of whey protein that goes through an additional filtration process that WPC does not go through making it a purer protein powered. Various filtration processes are available to create a WPI but the most popular are cross flow micro filtration, ion exchange, ultra filtration, micro filtration, etc. Long story short, each of these filtration processes can remove more or less of those other sub-fractions of proteins we find in a WPC. A typical WPI contains 90-96% protein compared to WPC 70-80%. This right here makes it an attractive protein source for those in the fitness community because they want to know they are getting the max protein for their dollar. A WPI also contains less fat, carbohydrates, sodium and lactose than a WPC. Whey protein isolate is also more rapidly absorbed by your body than a WPC. This leads to an increase in insulin production by your body. There are no real-world studies that I can find that leads to saying this is better or worse post-workout. However, the body needs insulin to product muscle. Rises in insulin at the wrong time can turn into body fat. Rises in insulin after a workout due to the rapid absorption of WPI could be a benefit for those looking to increase muscle mass. Whey protein hydrolysate is going to be the highest form of whey protein available. It will also be the most expensive protein available. A whey protein concentrate or whey protein isolate can be hydrolyzed. The difference in whey protein hydrolysate is that it is broken down even further (whey protein concentrate and isolate are already fast digesting proteins) breaking apart the amino bonds making a hydrolysate protein powder digest and absorb even faster than an isolate. Casein protein is known as the slow-digesting protein powder. There is more of an abundance of casein protein powder when protein powders are made. They remove the whey and what is left is casein (approximately 80% of the dairy source contains casein versus 20% whey). Casein proteins are great when you do not need the rapid absorption of a protein powder. In fact, your body can only utilize a certain amount of protein in a time period. A lot of bodybuilders and fitness gurus like to use a combination of whey protein and casein so they get the quick absorption of the whey, and then the slow digesting protein from the casein. Casein is a popular choice before bedtime. Most of us are getting 6-9 hours of sleep a night. That is a long time without feeding the machine. Casein protein continues to feed you while you sleep. Casein protein is also available as an isolate. Milk protein is protein powder containing both whey and casein. Under the casein protein section we indicated that 80% of the protein derived from the dairy source is casein, while 20% is whey. Instead of separating the two forms of protein, they just leave them as-is. Milk protein is used in a lot of protein bars. It is also available as a source of protein in protein powders. This is a cheaper protein due to the fact that they do not have to separate out the casein from the whey. Just because it is less expensive, doesn’t necessarily mean it’s bad quality. Milk proteins can be beneficial depending on your goals. Many people have issues with lactose, this making whey protein concentrate, and some isolates, undrinkable for them. Beef protein is an option for those that cannot work with lactose. Beef protein is exactly how it sounds, protein derived from cattle. There are several brands of beef protein available on the market. 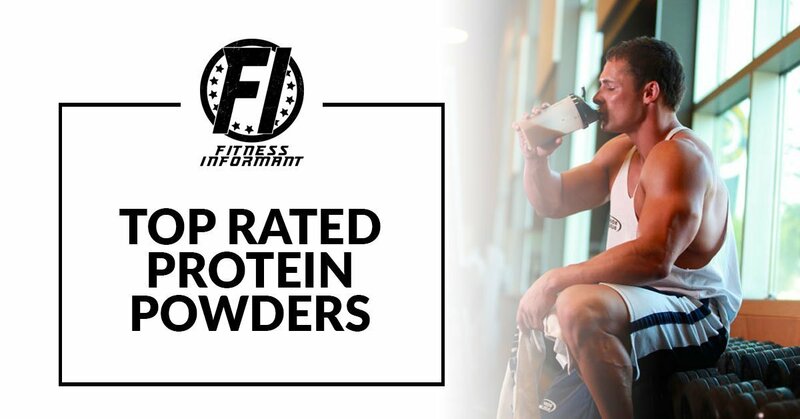 These typically won’t rank in anyone’s top five rated protein powders, due to whey protein being superior in studies, but it is important you know that they exist. The market for vegan friendly products has grown tremendously. In fact, this is a huge profit opportunity for supplement manufactures. Vegas proteins are derived from a vegan/vegetable source. The most common are pea protein and hemp protein. It is important, that if you follow a vegan lifestyle, that you supplement with a protein powder. These vegan protein powders are a great choice. When looking for the right protein powder to support your muscle gains, you want to make sure you are getting a high quality protein. This is best found in a whey protein powder. You want to ensure that you are getting adequate protein to help with protein synthesis, muscle recovery, repair and regrowth. You will want to look for either a whey protein concentrate that is close to 80% quality, or a whey protein isolate which is above 90%. A high quality protein powder is going to help with weight and fat loss. Protein powders contain a high ratio of proteins compared to fats and carbs. This is important because protein powders increase protein synthesis which increases muscle gains which burns more fat. Protein is also broken down more quickly than fats. While it can curb your cravings for sweets, it also aids in fat loss by making you feel full with the macros you need and without the macros you don’t need. You want to look for a protein powder that is high in protein content and low in carbs, fats and sodium. These are the best protein powders for weight loss. We are tired of the marketing companies overtaking the protein powder industry.  At Fitness Informant, you can trust our reviews and vigorous testing process. Got questions? Comment below and we'll answer them!